Most of the headlines that I have read about San Salvador, El Salvador is that it is one of the most dangerous cities in the world. It also has a record with one of the highest murder rates. But trust me, all of those are not true and it is always about how to be safe while travelling. Definitely, El Salvador is one of my favorite countries in Central America. I stayed at Ali's Downtown and I am recommending this hostel. Edwin is definitely the best! His place is just 20 minute walk to the Plaza Civica. 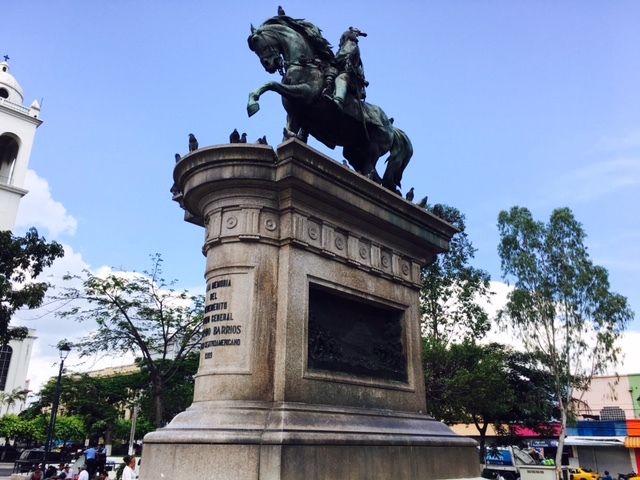 Also known as Plaza Gerardo Barrios, this square is located in the heart of the city. 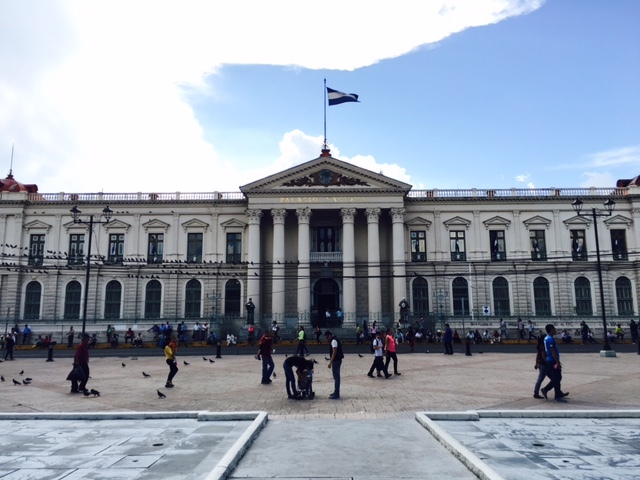 Opposite to it is the Palacio Nacional which was constructed in 1911. To fund the construction, the government charged one colon for every quintal of coffee exported. This building is now being used as office of the foreign minister and office of the president. It used to house the supreme court but now it is the defense minister's place. Of course, their offices are separated, each of them use big Salon. 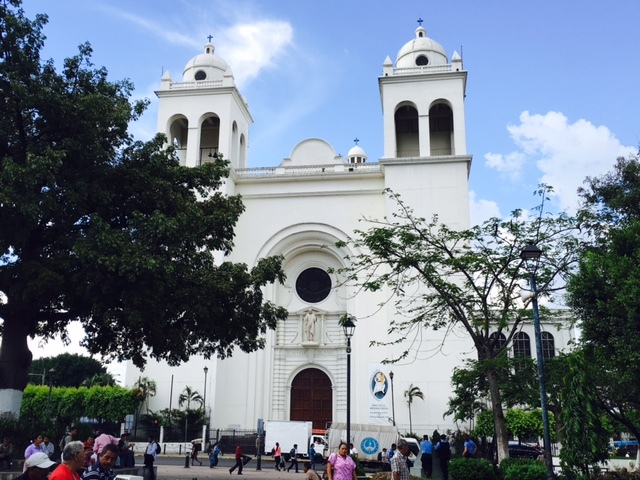 Catedral Metropolitana de San Salvador is on the right side of the plaza and is the principal church of San Salvador. 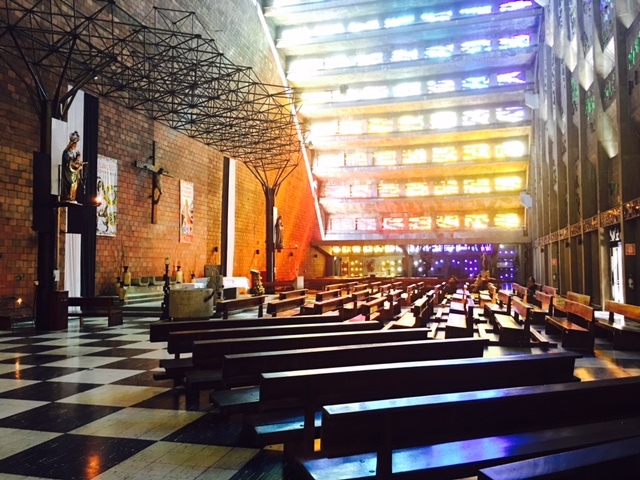 Pope John Paul II visited this cathedral twice, in 1983 and 1996. Sadly, it was a site of a violent massacre that killed more than 40 people in 1980. But now with the current view and status of the cathedral, it is a picture of peace. The next day before Edwin took me to the Sta. Ana volcano, we stopped by first at Plaza Libertad. It is the location of the 'Monument to the Heroes', to commemorate the 100th year of the 'First Cry of Independence' in 1811. 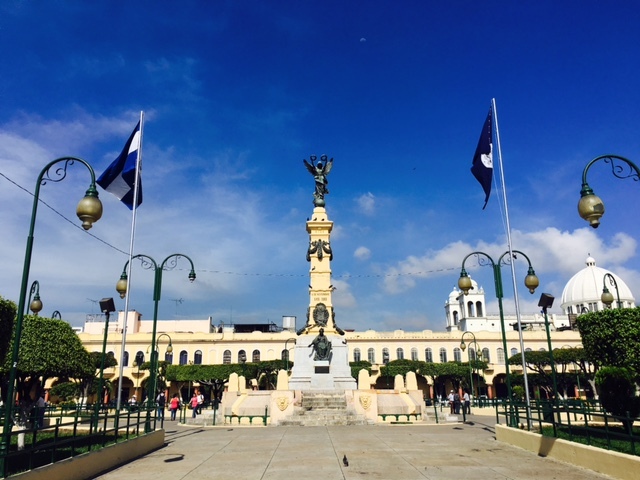 It is also the main plaza where the Salvadorans celebrate their independence day.